Lydia (Jabs) Bailey was considered by many as the best all-around female Bristol athlete the first half of the 20th Century. A Bristol resident her entire life, she was once the city’s No. 1 female tennis player and also the best duckpin bowler, often registering scores equal to or better than those of the men. 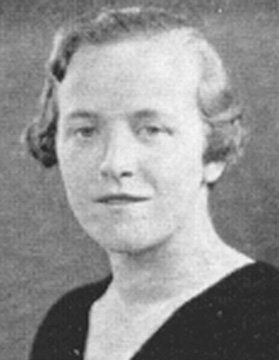 Her name graced the sports pages of The Bristol Press during the 1930s, 1940s and 1950s, and the Bristol Tramps Sports Reunion Committee, first organized in the early 1970s, annually presents The Lydia Jabs Bailey Award to a deserving Bristol female athlete who has made contributions to Bristol sports. A secretary for the Bristol Board of Education for 40 years, she was Bristol’s Babe Zaharias in sports.